This guilt-free lasagna recipe is the perfect comfort food for this time of year. 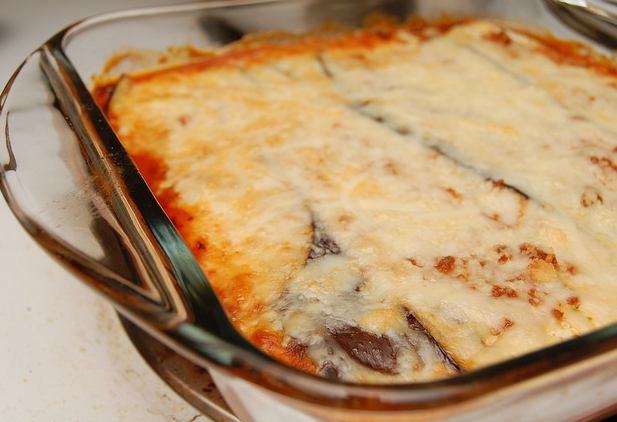 Slice eggplant into long strips, coat lightly with olive oil, sprinkle with Parmesan and toast. Substitute into for noodles in lasagna recipe. Add ricotta cheese, and sauce in layers, top with shredded mozzarella, cook in 13x9 pan at 350 for 35 minutes.